Born in Tulsa, Oklahoma and a 4th generation Oklahoman; Teresa is the Founder and former CEO of Community Care College, Clary Sage College, and Oklahoma Technical College which she started in 1995. In the summer of 2015; she converted the colleges from a for-profit corporation, to a public charity, 501(c)(3) called Community HigherEd. Although Teresa ‘retired” as CEO of the colleges, she serves on the executive board of the nonprofit and continues to advocate for career and technical education. Family life is the best for Teresa! She has three children—Ronnie, Lilliana, and Annabel- and a wonderful husband, Ivan, from the beautiful island of Puerto Rico. Teresa worked as a dental assistant for 7 years before coming up with the idea of opening a dental assisting school. She believes in the incredible power of career-focused education and wanted to share with others that you don’t have to settle…that you can get out of your situation, no matter how bad it may seem and a rewarding career is the foundation of that change. Because Teresa deplores drug abuse and how it destroys families, she founded a business called Knox Laboratory Services, a drug and alcohol testing laboratory. Although she sold the business; she is still a huge proponent of drug testing to maintain a clean and safe drug-free workplace and educational environment. In addition to advocating for career and technical education; Teresa is directly involved with commercial property acquisitions and historical preservation. Most recently; she has acquired the Harwelden, a beautiful mansion on Riverside Drive listed on the National Register of Historic places constructed in 1923. Other commercial development projects are in the Pearl District and South Sheridan Road. She serves as both Executive Producer and Producer of various film and music-related initiatives. A huge music fan with a special emphasis on Oklahoma Musicians, particularly, Leon Russell; Teresa and her husband purchased the historic Church Studio and worked nearly a year getting it listed on the National Register of Historic Places. That recognition was granted in September of 2017. The studio is currently under a complete restoration and will be finished in 2020. Teresa is a 2019 Newspaper Award recipient and is in the 2017 class of “Tulsans of the Year.” She is a two-time recipient of Tulsa Economic Development Corp’s “Small Business of the Year” and is a recipient of “Women of Distinction” award as well as a Crystal Star recipient for Entrepreneurial Success. 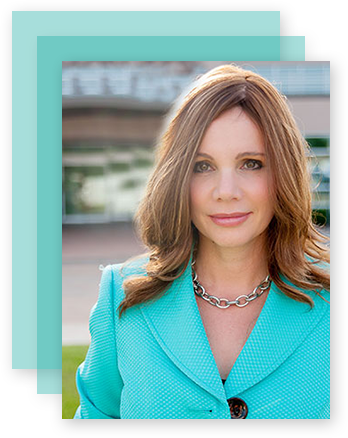 Teresa earned her MBA from Oral Roberts University.